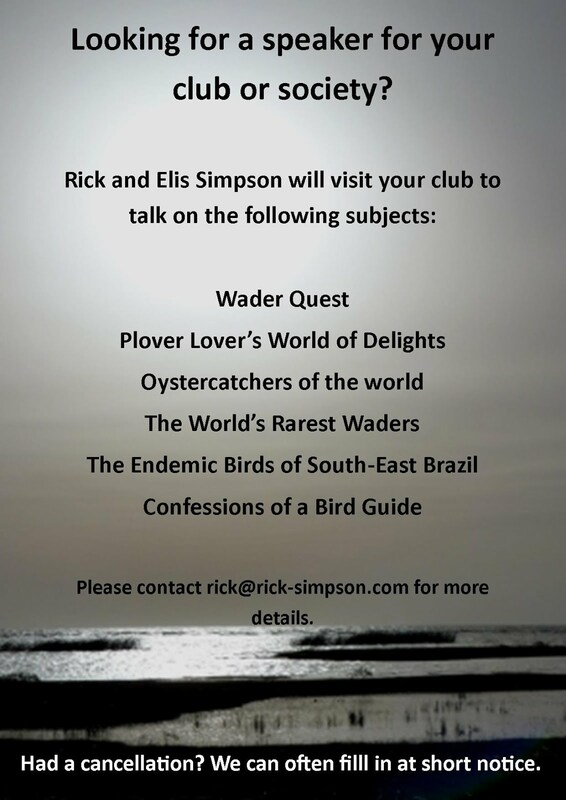 Rick Simpson Birding: A twitching we will go. Irresistible; Spectacled Warbler in Norfolk and a lifer for Elis, plus a decent weather forecast. It was too much to bear, so we set off early and arrived around 08.00. The mile or so walk out to where the bird had been seen was pleasant enough and we enjoyed some waders with young, Redshank and Lapwing to be exact, and there were plenty of other birds singing along the hedgerows to keep us smiling and amused including a calling Quail. Redshanks take a dim view of a Kestrel flying over their chicks! Adult Lapwing, the chick sat low in the grass and froze as we approached rendering it invisible. When we got to the site there were only 9 people assembled and we soon saw the bird as it collected nesting material. Spectacled Warbler with nesting material. It seems this bird is making a second nest having finished the first one yesterday, but alas all in vain I fear. The white mark above the bill is a cobweb he collected for a nest and then got stuck with! The only other one of these I have seen in the UK was back in 1992 when there was one at Filey. I have also seen them in the Canary Islands, Spain and Cyprus, but not with Elis. The bird popped up to sing every now and then but you had to be quick as it soon dropped back into cover. The cobweb did not seem to hinder his singing ability though. We also had four Spoonbills fly over, I must admit my heart gave a leap when one of the crowd shouted "4 spoonies flying over!" my mind going back to Thailand. There was also a, what has now become commonplace, Little Egret on the marsh. I still can't get used to seeing these birds everywhere in the UK, even from my living room window, having had to twitch one in my early listing days in the 1980s to get one on my UK list. Fly-by Spoonbill, not, sadly, a Spoon-billed Sandpiper. ... and then headed for Titchwell which was disappointing except for three drake Red-crested Pochards. So we headed home taking the back road through Docking, along that road we had Lesser Whitethroat and Corn Bunting not birds we see every day in our neck of the woods. What promised to be shot of the day until the bird turned its head before dropping from the twig out of sight.